We went out for dinner as a family on Saturday night, which we don’t often do. With our 4-year-old and 1-year-old in tow, we got to the restaurant around 5:30pm to keep things early and kid-friendly. Great. Good. Having fun. Then the waitress gave us a ‘Kid’s Menu’. The Kid’s Menu did not contain miniature portions of adult menu items, but rather a list of entirely different offerings. Things like Kraft Dinner, cheese pizza, and french fries. Things full of white flour and salt, with very little nutritional value. As mothers, we find out we’re pregnant and we do our very best to grow a healthy baby. We eat well, we stop smoking and/or drinking, we stay well-hydrated, and we make safe choices. When our baby is born, we continue to do our very best to keep them healthy- we often choose breastmilk, we often make our own babyfood (only organic, right? ), and we avoid giving them extra sugar, salt, and processed foods. Their bodies are little temples to be grown and supported with only the highest-quality ingredients. We discuss topics like folic acid, BPA, and omega-3s. We listen to the buzz surrounding gluten-free, dairy-free, and non-GMO food. And then we take them out for dinner, and we’re given choices like this. If we aren’t eating these things, then why are we feeding them to our kids? Kids need top-quality food to grow top-quality bodies and brains and immune systems. Kids need top-quality food to support learning and attention and behaviour. 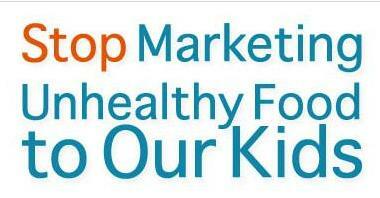 Kids need top-quality food to help them make top-quality food choices as adults. This entry was posted in Opinion, Parenthood, Uncategorized and tagged food choices, kid's menu, nutrition, restaurant, unhealthy food. Bookmark the permalink. I couldn’t agree more! If and When we go out we always end up ordering a quarter chicken dinner with a side veggies for the kids to split. Every restaurant has some variation of 1/4 chicken…. Of course fries sneak on the plate, but whatever. Usually ends up cheaper too, and I can usually talk the waitress into including their drinks and ice cream like the kids menu does…. Neither of my kids 2&4 will eat most of the kids menu and Abbs is allergic to tomatoes, potatoes and peppers so that pretty much rules out most garbage out. She’s much happier chewing on a chicken thigh and cob of corn. We much more often go out for breakfast! Agreed Jenn! Our kids often have hamburger patties and a side of veggies…. and they love it! Yes, I’ve puzzled about this for many years. Hard to understand their logic. Perhaps the demand just isn’t there yet? As parents, we need to speak up and be the voices to make change in this area! Ashley, You need to venture out to Smock Cafe in Roncesvalles. They have mini portions of healthy choices for kids of all ages and fun crafts for older kids. Ooooh thanks for the tip, will have to check it out! Well said!! I agree totally. I agree, I find it odd that restaurants go out of their way to provide additional (unhealthy) items on their menus instead of just offering kid-size portions of regular menu items. There’s obviously a demand for those damn chicken fingers that can be found on every single kid’s menu I’ve ever seen! I still find myself checking out the kid’s menu when we go out (instead of neglecting it altogether) to see if there’s any restaurant out there that GETS IT. Time after time, I’m disappointed. My guess is there’s not enough parents requesting alternative items for their kids. I’m sure if servers were constantly asked for chicken breast with no sauce and a side of steam vegetables that it would eventually make it’s way onto the kid’s menu. Right there with you Ash. We were at Fionn MacCools on Sunday night. Same story. The unfortunate thing is there were 6 kids and 4 got to choose from the kids menu (our 2 did not). Ours shared an adult sized salmon, rice and asparagus dinner. The nice thing is my kiddos didn’t even ask for what the others were eating (whew! dodged that bullet). I get frustrated that things like breaded dinosaur “chicken” is a). an option and b). something some parents don’t even think twice about allowing their kiddos to consume. Our experience resulted in this same sort of discussion between my husband and I after dinner. It perplexes me a bit because the rest of our family thinks we are “extreme”. How can living by the mantra Food is Medicine be extreme? It’s what Mother Nature has given us. One thing I know, I need to “let it go” and do my best to help my kids make the best decisions for themselves and not let the health of my nieces and nephews consume me (a very hard thing to do).